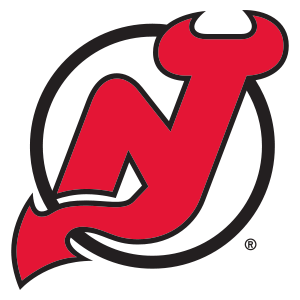 The New Jersey Devils will take on the Florida Panthers in Game 1 of their opening round Stanley Cup Playoffs series Friday night in Sunrise, Florida. The two teams split their four regular season contests (with one of the Devils wins coming in a shootout), including a notable collapse on November 21, in which New Jersey coughed up a three goal lead en route to losing 4-3 in DeBoer’s first meeting against the team that dismissed him last spring. Despite the relatively even way these two teams played each other this season, this series really is a tale of two very different clubs in very different points on the momentum scale. New Jersey enters the playoffs on a six game winning streak, which has seen them average 3.6 goals per game during that period, while the Panthers lost five of their last six, a stretch in which it appeared that neither they nor the Washington Capitals had any interest in winning the Southeast Division title. So, this should be a cakewalk for the New Jersey, right? Not so fast. The Panthers still have a line of thre e 20-goal scorers in Kris Versteeg, Tomas Fleischmann and Stephen Weiss, a dangerous trio that registered a combined seven goals in their four regular season meetings with the Devils. Florida also has home ice advantage, based on their division title, despite having less points than New Jersey. Defensively, the Devils will focus on shutting down the Weiss line, basically the Panthers’ only legitimate scoring threat. If New Jersey’s blue liners, led by Bryce Salvador, late-season acquisition Marek Zidlicky, and hard-hitting Anton Volchenkov, can neutralize that trio of scorers, Florida will have a hard time staying in the series. The Panthers defense averaged 2.63 goals allowed per game, good for a #12 ranking in the NHL. Against the red-hot New Jersey offense, however, Florida is going to have to play virtually perfect defensively. Special teams, particularly the penalty kill, was a major strength for the Devils this season. Their PK set a post-lockout record, logging an incredible 89.6% success rate. The edge in this department unequivocally goes to New Jersey. The Devils were more mortal on the power play, registering a 17.2 %, but they improved dramatically from earlier in the season, thanks in part to the acquisition of Zidlicky, a blue liner that specializes in quarterbacking the unit. In net, the Devils will again play to one of their strengths: experience. Martin Brodeur has had his ups and downs this season, but he’s still capable of stellar performances between the pipes, and there is no goaltender in the league that is more battle-tested in the playoffs. Florida will counter with either Jose Theodore or Scott Clemmensen, with Panthers head coach Kevin Dineen planning on making a game time decision on which one to start. Not exactly a ringing endorsement of either netminder. New Jersey enter the series a clear favorite in the series and something of a dark horse in the Eastern Conference. On paper, the Devils win this series easily, but as we’ve seen year after year, conventional wisdom and stats are sometimes turned upside down in the gauntlet that is the Stanley Cup Playoffs.